1-Heptanol C7H16O CAS: 111-70-6 F.W. : 116.20 g/mol 120ml 1-Heptanol C7H16O CAS: 111-70-6 F.W. 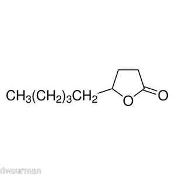 : 116.20 g/mol 500ml 1-Octanol High Purity Aroma Compound 30ml(1oz) CAS: 111-87-5 High Purity Aroma Compound Packaged in a Amber Glass Bottle Flavor and Fragrance Agents 1-Octanol is manufactured for the synthesis of esters for use in perfumes and flavorings.